I used to collect some Marble's knives, both vintage and the newer ones when Mike Stewart was there. 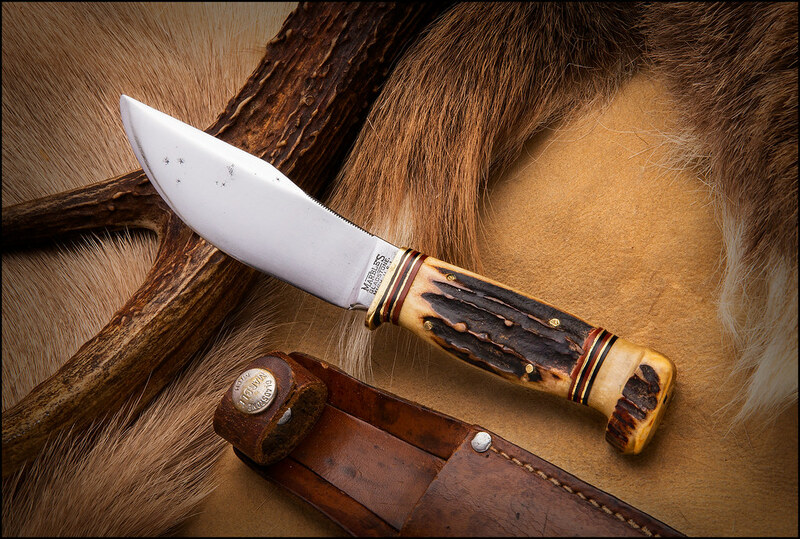 Just like Randall, I loved the rich history behind the company, and the knives and outdoor tools that they made. Here is a vintage Marble's Woodcraft that I recently picked up. I just loved the deep cut pinned stag on it. It has the Pat'd. 1916 stamp, and the larger 1/2 inch pommel nut which I believe dates it to the 20's or 30's. Vintage Marbles to me is one the best there ever was. That one is outstanding, and I love the semi-skinner design. Great post. Very nice collection there Warren. I really like that swing guard folder with the gorgeous stag. 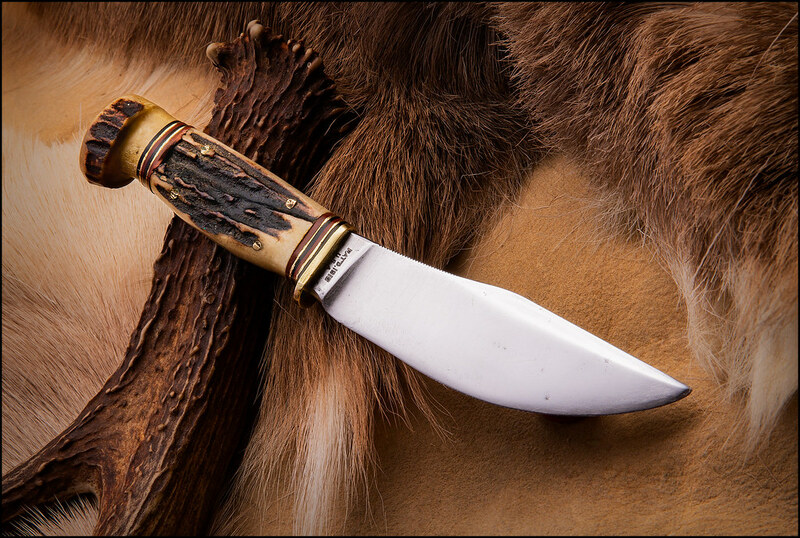 One of the Marble's knives that I regret selling was a Woodcraft with pinned stag handle and pommel. It had the Pat. Pend. stamp, and the cross-hatched match striker which dated it at 1915, the first year of production. Thank you Will. That early Pat Pend Woodcraft knife is a rare bird. Yeah a good one for sure. As folders go I had a 4 1/2", and a 5"; the larger had a leather pocket sheath. The leather sheathes are harder to find than the knives. Biggest problem with vintage Marbles knives is the condition of leather sheathes. Many have rotted keepers or stitching issues. The hatchet has the fox and hound scales used on the early pieces. Generated in 0.018 seconds in which 0.007 seconds were spent on a total of 16 queries. Zlib compression enabled.